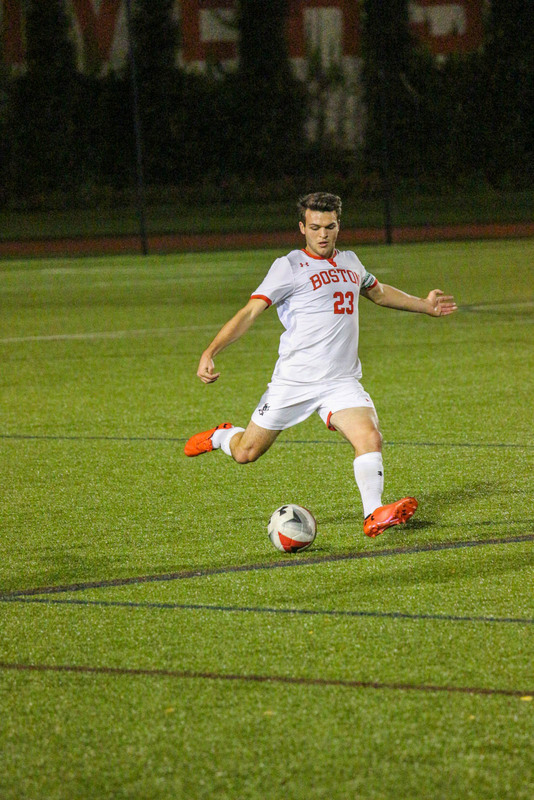 The Boston University men’s soccer season came to a close Tuesday in the Patriot League quarterfinals match against the United States Military Academy with a score of 0-0 after two overtime periods forced a tie-breaker. It became the third consecutive year that BU’s (5-10-4, 4-4-1 Patriot League) final loss came in during a penalty shoot-out in their first postseason match. This season, the team was hindered by injury — junior forward and co-captain Matt McDonnell, whose 12 points still led the Terriers by the end of the season, played only five games to start the season. Despite the challenges, BU head coach Neil Roberts spoke highly on the team’s effort. The fourth-seeded Terriers hosted fifth-seeded Army (8-9-2, 4-5 Patriot League) at Nickerson Field for the conference quarterfinals. Last time the Black Knights set foot on BU campus Oct. 24, the Terriers claimed a 1-0 victory off of an early goal from freshman midfielder Kari Petursson. All four of Army’s on-goal shots came in the first half but were fended off by senior goalkeeper Mike Bernardi. Neither team found the net in regular game time. 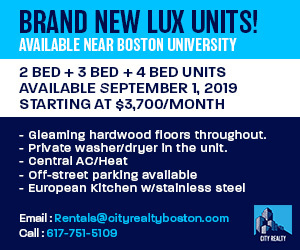 Petursson recorded the only shot for either team in overtime, and despite cries from the home crowd, the ball rolled harmlessly down the side of the net. The game went to penalty kicks. Bernardi took the first attempt against Black Knight goalkeeper Justin Stoll — a miss. Four BU players went on to solve Stoll, but a missed opportunity allowed Army defender Ibrahim Seye to solidify the 5-4 penalty kick decision. Black Knight head coach Russell Payne said that the two teams’ first match had been decided by an error and that his team was more solid in the quarterfinals. Friday, Army upset the top-seeded University of Maryland Loyola and advanced to the Patriot League championship game for the first time in 22 years, where the team will face off against the reigning conference champion Colgate University. The Terrier loss concluded the collegiate career of seven of the team’s seniors: Bernardi, defenders Josh Barkoff, David Riccio and Ben Valek, and midfielders T.J. Butzke, Troy Phoa and Adam Wright. Barkoff and Bernardi were both acknowledged with All-Conference honors, while Riccio was named to the Academic All-Patriot League Team. Roberts also noted contributions from the team’s younger players, including freshmen forward John Siracuse, defender Nate Cole and Petursson. Siracuse started in every game after Oct. 3, a match against the College of the Holy Cross during which Siracuse scored his first collegiate goal, while Cole joined the starting line-up in his fourth career match. With McDonnell sidelined, Petursson became the team’s leading active scorer, ending the season with 11 points.